The Koss BT115i wireless in ear buds feature Bluetooth version 4.2 technology to ensure the highest performance across a range of devices. The built-in rechargeable lithium-ion battery has over 6 hours of battery life. Three cushion sizes included (small, medium & large). 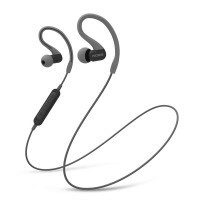 The Koss BT221i wireless ear clip headphones feature Bluetooth version 4.2 technology with over 6 hours of battery life. 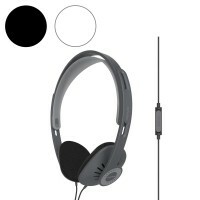 The in-line microphone and remote allows you to conveniently control tracks and answer calls. The pivoting ear-clip creates the perfect fit and seal. 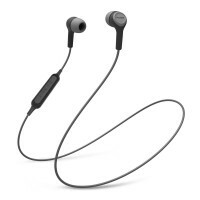 The Koss BT232i wireless ear clips feature Bluetooth version 4.2 technology, 6+ hour battery life, built-in rechargeable lithium-ion battery, in-line microphone and remote, cable management clip and more. Three cushion sizes included (small, medium & large). 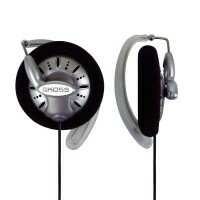 Clip the Koss KSC75 headphones comfortably over your ear and let yourself be amazed by the great sound that these high fidelity ear clip headphones deliver. 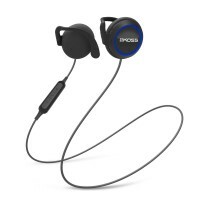 These are the ideal active headphones for music lovers living an active lifestyle. 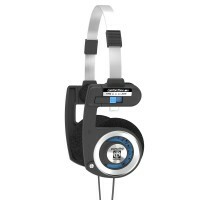 Koss Porta Pro KTC, the most sophisticated version of the Porta Pro, features a new technological upgrade which brings listeners closer to the music they love. 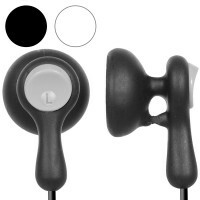 Koss Touch Control (KTC) remote and microphone technology, made for iPhone®, iPad® and iPod®. The new Koss Porta Pro® Wireless takes the legendary sound and the iconic design of the classic Koss Porta Pro headphones, wireless. The Koss Design and Engineering teams collaborated to create the perfect wireless configuration using Bluetooth 4.1 with aptX. 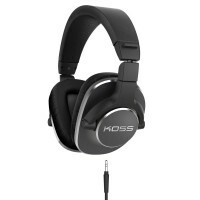 With its unique D-Profile design and precision tuned sound, the Koss UR23i is ideal for personal listening. Isolation from ultra soft cushions and closed back design brings you closer to the music. 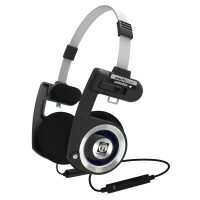 Durable lightweight design makes this a great portable headphone. 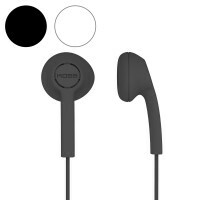 The Koss KE7 earbuds are the perfect accessory for portable music lovers seeking a quick and easy replacement. 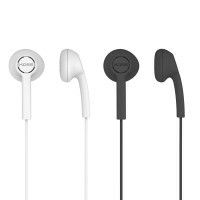 The KE7 include two pairs of earbuds – one white, one black – to suit your preferred style, and are designed to fit most anyone’s price range and travel plans. 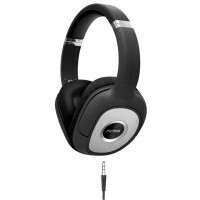 The BT539i Bluetooth Headphones pack powerful wireless sound into a portable, fold-flat unit. Listeners stay connected using the built-in microphone. Easy to locate controls allow listeners to quickly navigate through songs, change the volume level, and answer incoming calls. 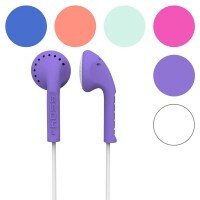 The Koss KE10 soft sculpted earbuds highlight your unique identity with a bold, striking statement. 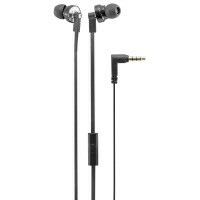 Built for long-lasting comfort, the KE10 earbuds provide a pleasant fit for any size ear. With several colours to choose from, you're sure to find the perfect pair. The Koss KPH30i on-ear headphones provide lightweight, adjustable portability with incredibly spacious sound for on the go use. 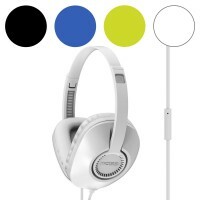 The lightweight on-ear headphones feature an open-air design with smooth bass and clean treble. Perfectly tuned for use on the go. The Pro4S Studio Headphone is specifically crafted for professionals who use headphones every day to create the world's greatest music. Featuring the all-new SLX40 element, tuned for reference, the Pro4S Studio Headphone delivers an incredibly accurate and unbiased sound. The SP540 features the natural fitting “D-profile” earcup design first featured on the ergonomically designed Koss Pro4AAA. The D-profile mimics the shape of the ear, creating an ideal seal for the most consistent sound reproduction and an incredibly natural fit. The Wintal WDH11 utilises digital wireless technology that enables you to enjoy crystal clear sound anywhere inside your home. With a simple plug and play setup procedure and smart automatic tuning, you will be able to enjoy high quality audio in minutes. 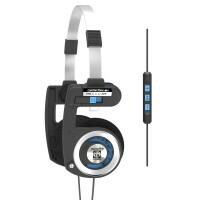 The Wintal WDH11SP is an additional headphone set to expand upon the WDH11 (transmitter and headphone). With a simple setup procedure you can quickly and easily add more receiver headphones to share the same high quality audio, without messy wiring. 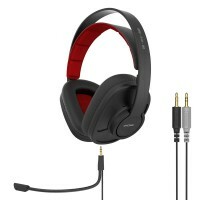 The Koss GMR-540-ISO Closed-Back Gaming Headphones are specifically designed and engineered to create an isolated environment for complete gaming immersion. An ultra lightweight design with an all-new custom fitting sling allows hours of gaming and extended use. The ThunderX3 TH40 USB Gaming Headset delivers a powerful and immersive virtual 7.1 channel surround sound gaming experience. 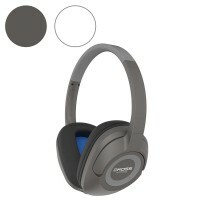 The metal mesh ear cups provide a modern, high tech finish. Select from 7 different LED colours directly with the in-line control.